After two successful Phantasy Star releases, Sega decided to change things up a bit for their third release in the series Phantasy Star III: Generations of Doom. The game featured more of a medieval look to it instead of the science fiction theme that had been such an avid part of the previous two releases and also made some odd game play changes as well. 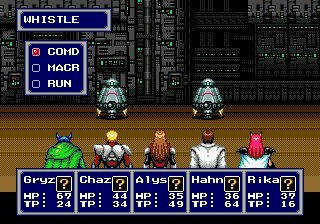 While Phantasy Star III certainly wasn't a bad game by any means, it just didn't feel much like a Phantasy Star title at times and ended up alienating many long-time fans of the series. Thankfully, Sega decided to make a return to the classic Phantasy Star experience for their fourth release, Phantasy Star IV: End of the Millenium, and the result was what many fans consider to be the best overall release of the series and easily one of the best rpg experiences available for the Mega Drive console. At its core, Phantasy Star IV is a traditional rpg. Combat is executed in typical turn-based fashion and there are tons of tricky labyrinths to traverse throughout the game. You'll spend the majority of your time exploring the many areas of the game and doing battle with the game's barrage of enemies. As with most rpgs, leveling up your characters and outfitting them with the best weapons and armor play a key role in your survival. You'll travel from town to town in an effort to complete the many tasks afforded your party and ultimately finish the game. The turn-based combat is extremely effective and ultimately offers up plenty of strategy no matter what your current situation is. Moving around the world map is also effortless and the terrain offers enough distinction to keep you from getting lost along the way. 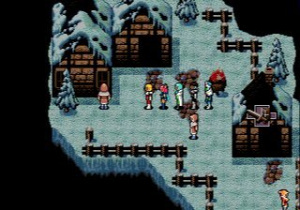 Everything about the play control and interface in Phantasy Star IV is outstanding and makes playing the game a very smooth and enjoyable experience from start to finish. The visuals in Phantasy Star IV are easily the best of the 16-bit releases and offers plenty of diversity between the different areas of the game. Even the individual combat scenes share this same diversity and do a great job of conveying the scenery of the area your party is currently located in instead of just displaying the same generic background each time. The enemies also have their own unique animations, which further adds to the element of realism within the various combat scenarios. 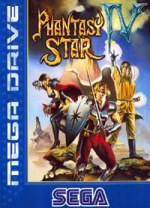 The Phantasy Star titles have always featured top notch visuals, but Sega really did a solid job of pushing their Mega Drive console's visual capabilities with this title. While the soundtrack in Phantasy Star IV isn't quite on par with some of the legendary 16-bit rpg titles like Final Fantasy III or Chrono Trigger, it still manages to be quite catchy and carries the mood of the game perfectly. No matter what the given situation is, the music always seems to be perfectly fitting. Granted, some tracks are better than others, but when you look at the musical score in its totality, it's difficult not to be impressed with what the developers were able to come up with for this game. It's great to see Sega, after taking a slightly experimental direction with Phantasy Star III, return the series to prosperity with what they were able to accomplish with Phantasy Star IV. You honestly couldn't ask for a better ending to the 16-bit series than the one found here. As outstanding as the series has been over the years, Phantasy Star IV really took it to new heights and still stands as one of the true rpg greats of the 16-bit era and a game that's as much fun to play through now as it was back then. 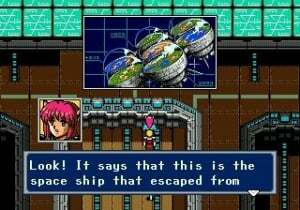 Phantasy Star IV is yet another outstanding addition to the Virtual Console and a game that no true rpg enthusiast should pass up. Im thinking of buying this game. Phantasey Star online and i loved that.